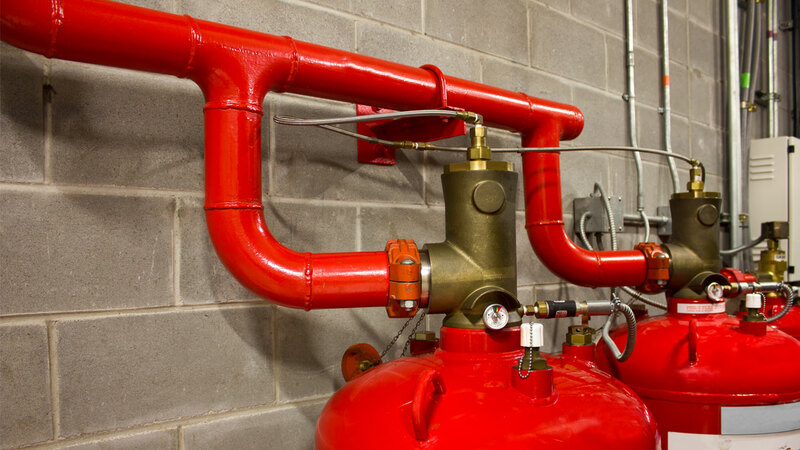 Fixed gaseous extinguishing systems are widely used in a variety of commercial applications to protect property and assets from fire. They have been used for over fifty years and historically, halon and carbon dioxide were the gases that were primarily employed. Halon was a versatile fire extinguishing gas that provided efficient extinguishing characteristics and was suitable for use in occupied areas. Carbon dioxide also extinguishes fires effectively but is employed at toxic concentrations and as such has restricted areas of use. Halon has largely been phased out for environmental reasons associated with the damaging effect it has on the ozone layer. Current systems now typically employ carbon dioxide, inert gases (or blends of inert gases), or chemical agents (such as halocarbons). Fixed fire fighting systems must be carefully selected following an assessment of both the risk of fire and the risks associated with the operation of the fire fighting system. Provided the system is chosen correctly, it will extinguish the fire rapidly, enabling operations to be re-started following removal of the fire source and reinstatement of the protection system. Key installations may require duplicate systems so that servicing or re-charging of a system does not interrupt business processes. Registration number 03629723 | VAT number GB 885 7192 71 | © Fire Defence Servicing Ltd. ALL RIGHTS RESERVED.